Peru was the first country to steal my heart in South America, and I’m still in awe today by everything it has to offer. 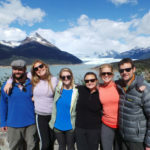 Combine stunning landscapes of the high Andes mountains, rolling hills and lush green cloud forest with colonial cities, marvelous Incan ruins, a diverse culture, fascinating history, friendly people, mouthwatering food and some of the most spectacular yet authentic accommodations around, and you have Peru. There’s not much more that I could ask for in a perfect destination. 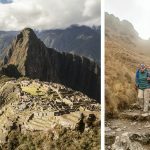 Classic Machu Picchu is one of my favorite itineraries for exploring the Southern Highlands of Peru. In just 8 days, not only will you experience must-sees of Peru like Machu Picchu and Cusco, but you’ll discover countless off-the-beaten-path gems as well. 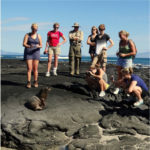 This itinerary has a light activity level, but is extremely flexible with many opportunities for shorter strolls or even longer hikes if you’re feeling up for it. One of the many highlights of this itinerary for me is a most special day with the Amaru indigenous community. You’ll learn about their weaving practices, traditional lifestyle and enjoy a meal with the community leaders. 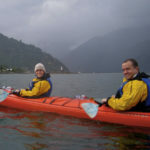 Having a Quechua speaking guide and driver in this region allows you to get off the beaten path in a way only achievable with their expertise and close relationships with the community. Starting off your trip in the Sacred Valley will not only put experiences like this and many lesser-visited Incan sites at your fingertips, but at 2,000 feet lower than Cusco, you’ll acclimatize much better too. At the end of each day, return to fabulous accommodations like Relais Chateaux property Sol y Luna. Their private casitas nestled in the valley, surrounded by beautiful gardens and stunning views of the high Andes mountains are simply enchanting. You could also consider a hotel upgrade in Aguas Calientes to Machu Picchu Pueblo Hotel. A dip in their semi-natural thermal baths surrounded by nature are perfect after a full day of exploring Machu Picchu. Or in Cusco, consider Palacio Nazarenas, a restored palace that is arguably one of the best hotels in South America. Read on to discover more about why I love this itinerary, and then don’t hesitate to give me a call at 612-315-2894 ext. 105 or email Renee@KnowmadAdventures.com to create your own perfect, custom Peru itinerary. Discover ancient ruins and vivid indigenous cultures as you journey through the heart of the Andes to the Lost City of Machu Picchu. Get off the beaten path in the Sacred Valley’s vibrant traditional villages and markets and return to charming accommodations on your in-depth, relaxing exploration of this powerful and charming region of Peru. Fly to Cusco where Andean cultures come alive. Explore Incan stone terraces at Sacsayhuaman, the subterranean altars of Kenko, the water temple Tambomachay, and the Puka Pukara fortress. Continue into snow-capped Andean peaks to your oasis in the Sacred Valley. Visit the isolated Amaru indigenous community in the Andes. Gather plants used as natural dyes and see how the Amaru’s colorful textiles are brought to life. Lunch with community leaders or picnic amongst Pisac ruins before bargaining for wares in the region’s most vibrant market. Visit the massive Inca agricultural terraces of Moray and continue beyond the little-known village of Maras where pre-Columbian saltpans are still being harvested in the traditional way. 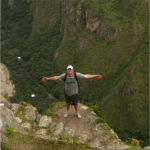 Take the train along the river and Inca Trail arriving to your accommodations in the early evening. 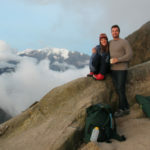 Revel at the sunrise from the Lost City of Machu Picchu, perched amidst Andean peaks and lush cloud forest. Enjoy a complete guided tour of the site with time to explore on your own as well. Take a morning train ride to Ollantaytambo and see the vast Incan ruins towering above. Lunch at a colonial-era hacienda before continuing to Cusco. Return to Lima and depart. An itinerary great for all ages that pays special attention to altitude, this trip takes you to the classic Peru highlights while also venturing off the beaten path offering hands-on experiences in indigenous communities, returning afterwards to charming, comfortable accommodations. From $2,565. Inquire with a Knowmad Trip Specialist at 612-315-2894 or Renee@KnowmadAdventures.com for more information. Ready for the trip of a lifetime? Call us at 612-315-2894 or email Renee@KnowmadAdventures.com to start planning your custom and private Peru trip today.